This is the follow-up to yesterday’s article on the early women’s rights movement. It deals with how women served in the Civil War. 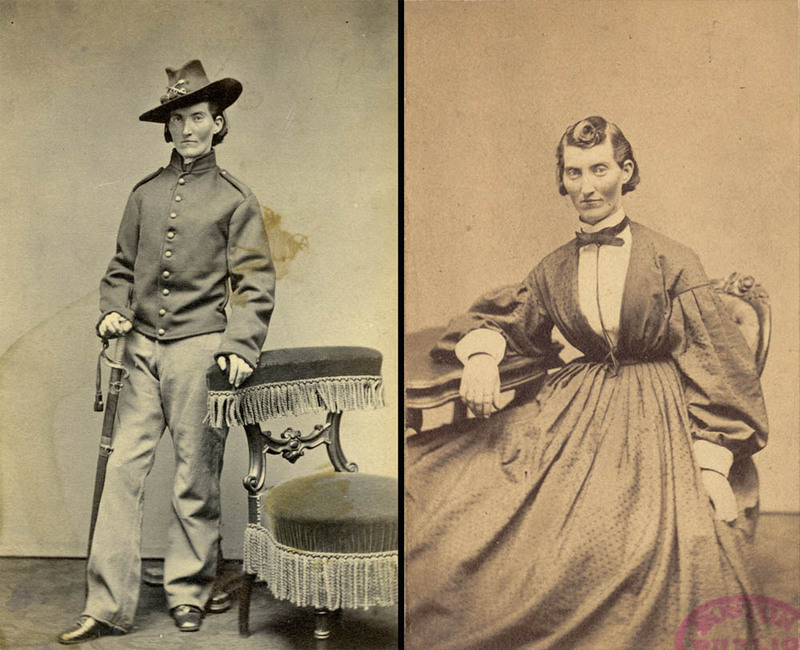 While women were not allowed to be soldiers, many disguised themselves and lived as men in order to do so, in effect living as transgender men. Others served as spies or nurses. All were pioneers, and though women are now beginning to reach the highest ranks of the U.S. Military, and being allowed to serve in military specialties previously limited to men, there is still much political and cultural opposition to them doing so. As before this is a section from my Civil War and Gettysburg text. I do hope that you find it interesting. Of course when the Civil War broke out the logical end of this train of though was that should women be allowed to serve in the military. Legally and socially it was not possible for women to serve in the military in 1861, but this did not stop women in the Union or the Confederacy from doing so. Quite a few women on both sides of the conflict chaffed about not being allowed to fight for their countries, their families and their causes, and despite official prohibitions that kept women from serving in any capacity but nursing, a good number of women found their way to go to war. While men in the North and South “were expected to enlist, any woman actively participating in the Civil War was an oddity if not a renegade.”  In some cases this involved hundreds of women taking male identities in order to fulfill their desires to serve their countries. 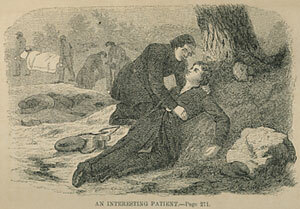 Sarah Edmonds published a book Nurse and Spy in the Union Army while recovering from malaria in 1863. The book, which was published the following year, sold 175,000 copies, the proceeds that she donated to care for sick and wounded Union veterans. 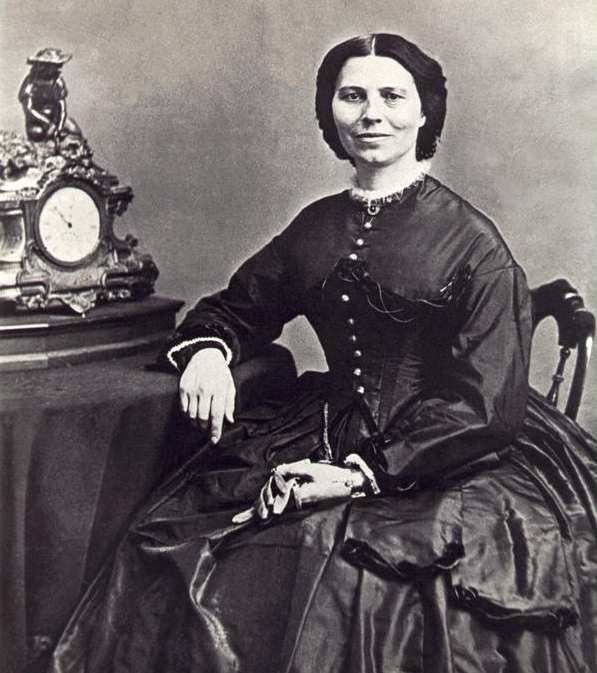 After the war, Edmonds attended Oberlin College, married, had three of her own children and adopted two more. She “became a member of the Grand Army of the Potomac, the organization for Union veterans of the Civil War. 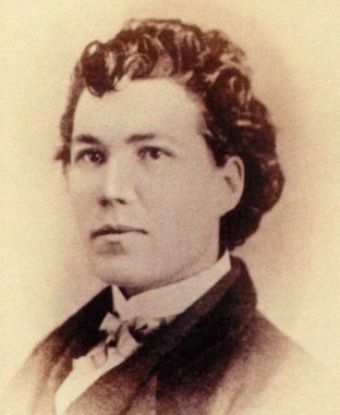 She applied for, and received, a military pension, and upon her death in 1898 was buried with full military honors.”  She was the only women admitted to the Grand Army of the Republic. 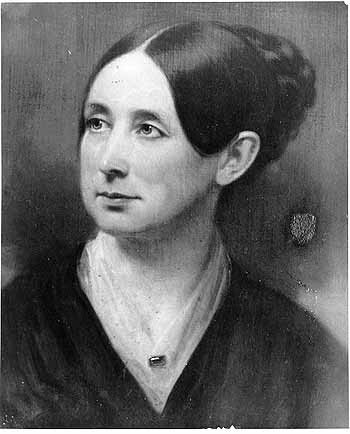 Another of the women to serve was Frances Louisa Clayton. Fighting for the Union as a member of the Minnesota State Militia Cavalry and 2nd Minnesota Battery, serving under the command of Ulysses S. Grant she was wounded at Fort Donelson. Like many other women soldiers, Clayton mastered the art of behaving as a man. She “became “a capital swordsman,” but also commanded attention with her “masculine stride in walking” and “her erect and soldierly carriage.”  After the war she promoted her service in a book. Wartime records are sketchy but as a minimum it is believed that “between 250 and 400 women disguised as men found their way into either the Federal or Confederate armies.”  Women known to have served had a “combined casualty rate of 44 percent” including the fact that “eleven percent of women soldiers died in the military.”  Some of those women are now well known but many others are lost to history. Most women tried to keep their sexual identities secret, even to the point of their death on the battlefield. Most of the women who served in the armies returned home to resume relatively normal lives after the war. 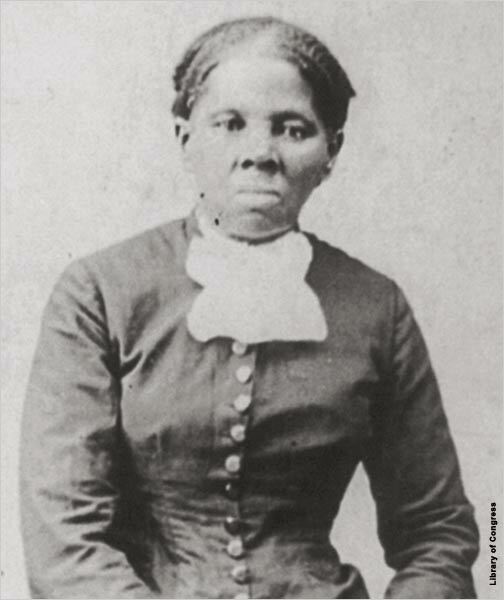 “African American women were generally dismissed as militarily harmless, a miscalculation that Harriet Tubman…used to immense advantage. Tubman, who had escaped from slavery in Maryland twenty years before the war and who had amassed considerable experience venturing into the south to guide runaways to the North undertook spying expeditions for the Federal troops on the South Carolina Sea Islands.”  The incredibly brave woman served throughout the war accompanying Union forces and securing vital information even as she worked to set other slaves free. Tubman’s “spying activities included convincing slaves to trust the Union invaders,”  many of whom would join the ranks of the newly raised regiments of U.S. Colored Troops. 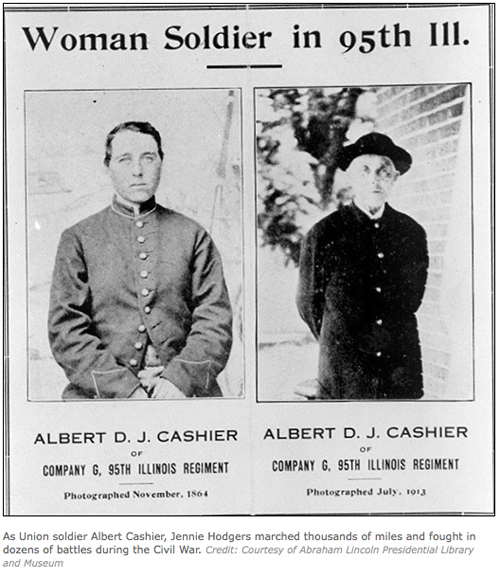 Of the women that served in the ranks, some were discovered, and many remained protected by their fellow soldiers. Quite a few received promotions and even served as NCOs or junior officers. With women now serving in combat or combat support roles in the U.S. Military since Operation Desert Storm in 1991, the stigma and scandal that these cross-dressing women soldiers of the Civil War has faded and as scholars and the public both “continue probing cultural notions of gender and identity, the reemerging evidence that women historically and successfully engaged in combat has met with less intellectual resistance and has taken on new cultural significance.”  As the United States military services examine the issues surrounding further moves to integrate the combat arms we also should attempt to more closely examine the service of the brave and often forgotten women who served on both sides of the Civil War.